What is ExpressVPN Smart Location ? Together with NordVPN, ExpressVPN is undoubtedly among the best, fastest and most secure VPN services out there. They probably have the biggest number of server locations among their competitors, having presence in 94 countries, 148 cities and more than 2000 global servers. This means that wherever you are in the world, most probably they have a VPN server near you. This does not mean that in order to use the ExpressVPN service you must have a server in your own country or city. No, that’s not how it works. The importance of the server location is that the closest to you the better connection speed and performance you will get (most of the times). 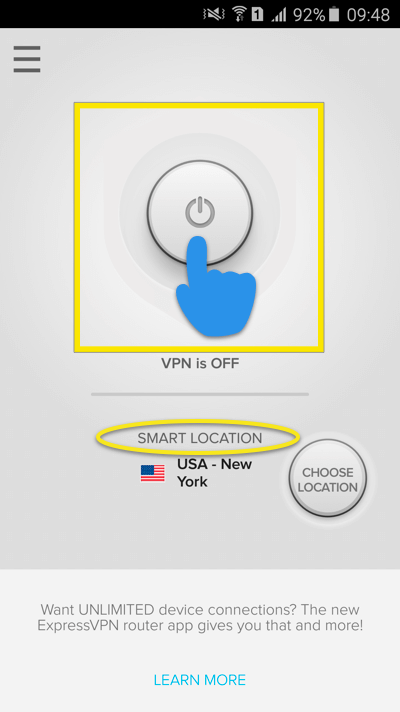 Having so many VPN server locations available, the company developed a smart feature in their app (its available in both the desktop and mobile app versions) which automatically calculates the best VPN server to connect to depending on your location, current load of the servers etc. The ExpressVPN Smart location feature takes into consideration some metrics like your current distance to the nearest server, current download speed of each server and current latency of servers in order to propose to you the best server to connect. The smart location feature is always on and is very helpful for users who are not tech-savvy. Imagine for a regular user to have to select a server among thousands of options in order to use the VPN. That would have been a nightmare for most people. Instead of that, the vpn app picks the best option for you in order to have the best possible speed and performance. 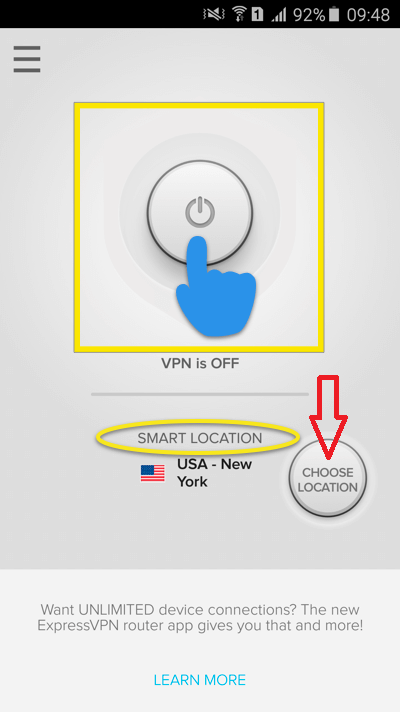 As shown from the picture above, by clicking on the VPN ON button on your ExpressVPN app you will be connected automatically to the best server available, as calculated by the Smart Location algorithm. You don’t need to do anything else. 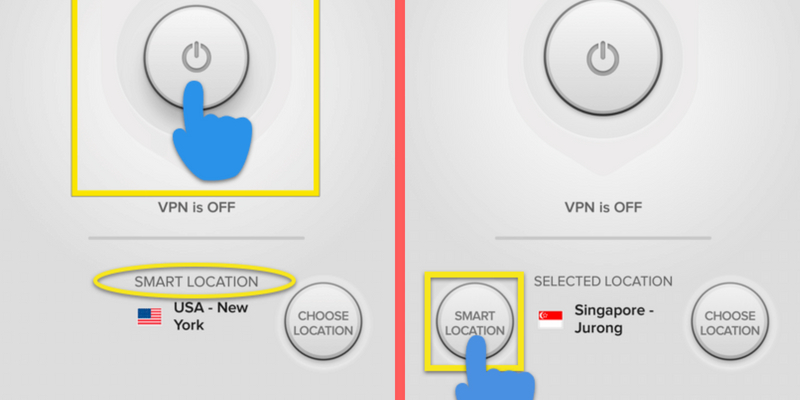 For more advanced users, they night want to select exactly which server location to use for their VPN connection. Maybe a user wants to connect from Asia to a USA server in order to access Netflix or browse the Internet within a USA location for whatever reason. The app will show you the Recommended locations or All locations and therefore you can choose which one you want. Little features like that is what makes some VPN vendors to differentiate from the competition and offer a user friendly product. That’s why I totally recommend ExpressVPN as one of the most complete VPN solutions out there.